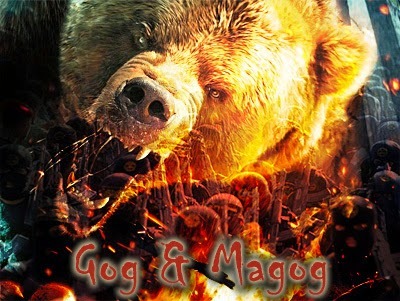 What miracle sets the stage for the Gog-Magog War? Vic Batista: Today's subject of study will be a continuation of Ezekiel 38 & 39 concerning the Gog and Magog War. I just want to encourage people to get into the topic of eschatology and Bible prophecy, because there are many out there who are scared of studying Bible prophecy, even pastors. Nathan Jones: Yes, a lot of pastors even are scared about talking about Bible prophecy. Since they don't understand it, they don't bother with it, and their congregations suffer the loss. And yet, 31% of the Bible is God's prophetic Word. God wants us to know what the future holds. He tells us what will happen to give us hope. When we don't share that hope, our people despair. I like to encourage pastors to dig into what God has to say through Bible prophecy. We here at Lamb & Lion Ministries can help you in your studies. We have plenty of materials that will give you and your congregations have that hope. Vic Batista: I find it encouraging to be able to study the Word of God and know what is coming. Why wouldn't people want to know what is up ahead, especially when the Bible talks about it, right? Nathan Jones: Exactly. People waste their time going to palm readers and soothsayers and all those crazy people who are not legit. Instead, go to the Bible, God's Word, where Bible prophecy always is fulfilled. Since Bible prophecy has a 100% track record of fulfilled prophecies, we solidly know what the Bible says about the future will come true. Vic Batista: I don't know everything there is to know about Bible prophecy, but as we go through the Scriptures the Holy Spirit teaches us, right? Nathan Jones: Exactly. You are never going to learn unless you actually get into the Word and pray for the Holy Spirit so He can help you better understand what you're reading. Read and watch other materials because sometimes we misunderstand the Holy Spirit and we come up with some of our own very interesting interpretations. Therefore, it is important to see what the experts think and weigh their conclusions against the Bible. We are always learning. I get to meet some of the biggest names in the study of Bible prophecy and these experts tell me even in their advance years that they are still learning every day. So, there is always something new to learn. Vic Batista: Exactly, and that is why we are called to be students, for the Holy Spirit is always revealing the Scriptures to us. Nathan Jones: Yes, indeed. The Bible I believe when it comes to study is endless. I think we are going to be studying God's Word even in Heaven. We will finally understand things better when we can run over to Moses and ask him what he meant by this or that. Or, you can go to Jesus Himself and say, "Jesus, I just didn't understand that parable. Would you explain it to me?" We will always be learning and growing and understanding, but we've got take that first step and actually open our Bible and start reading God's Word. Vic Batista: That is exactly what we are going to do regarding this very important topic, and a very exciting one, found in Ezekiel 38 & 39 concerning the Gog and Magog War. Can you refresh our memories of what we're up to so far? Then we'll jump into Ezekiel 38:8 and on in the upcoming segments. Nathan Jones: Ezekiel 36 & 37 beforehand gives a prophecy called the Valley of Dry Bones. It's about Israel coming alive as a nation once more. What is amazing about that is back in 70 AD the Romans kicked the Jews out of their country and they spread the Jews to the four corners of the world. For the last 1,900 years the Jewish people have lived as vagrants or vagabonds, depends on how each country looked at them, constantly moving the Jews along and shuffling them along throughout the world. They have been a people without a home. But then in May of 1948, following a UN resolution in 1947 brought about by the fallout of World War II with the Holocaust, the world wanted to give Israel back their nationhood. Over the decades before Israel as a nation was reborn, the Jews had already traveled to Palestine, as it was called, and they bought land in the hopes of reviving it. The Romans left the land desolate. For hundreds of years the land of Israel was desolate. Now you can go to Israel today and you can see it is bountiful once more. The Jews restored the land. Today about half of the Jews of the world, around 6 million or so, live in Israel. We are alive to witness a fulfillment of the prophecy that Israel would become a nation once again. The rebirth of Israel sets the stage for the prophecies that we read about in Ezekiel 38 & 39. It's about an incredible war called the Gog and Magog War that will be waged against the newly reformed nation of Israel. Afterwards, we move right into Ezekiel 40-48 which is all about the Millennial Kingdom, starting with the return of Jesus Christ and then Him ruling and reigning on this earth. Ezekiel 38-39 are an amazing two chapters. They give us more details about this war than any other prophetic war, including Armageddon, in all of the Bible. Vic Batista: I want to encourage readers to get their Bibles and follow along, so this way they too can have a glimpse of what the Bible has to say about what is going to take place in the near future. It's an incredible journey. Very exciting! In the fifth segment of our study of the Gog & Magog War of Ezekiel 38-39, Vic and I will try to discern just what the hook is that will incite Russia to attack Israel. Newsmax is out with its list of the top 100 Christian leaders in America who make a real impact on modern lives in 2015. 1. Franklin Graham, head of Samaritan’s Purse. 2. Joel Osteen, televangelist, pastor of Lakewood Church in Houston, and best-selling author. 3. Mark Burnett and Roma Downey, creators of the successful television series "The Bible," and its spinoff, "A.D. The Bible Continues." 4. Cardinal Donald Wuerl, archbishop of Washington. 5. Billy Graham, legendary evangelist. 6. Rick Warren, founder and senior pastor of Saddleback evangelical megachurch in Lake Forest, California. 7. Mike Huckabee, former governor of Arkansas, Southern Baptist minister, and potential 2016 GOP presidential candidate. 8. Jerry Falwell, Jr., president of Liberty University in Lynchburg, Virginia, the world's largest evangelical Christian university. 9. Joyce Meyer, founder of Joyce Meyer Ministries, host of "Enjoying Everyday Life" TV and radio show, bestselling author of more than 100 books. 10. Pat Robertson, chairman of the Christian Broadcasting Network. No where on the list will we find Dr. Reagan of Lamb & Lion Ministries, nor any of their wonderful associates in the Bible prophecy field. To look at the list as see names such as Joel Osteen, Rick Warren and Pat Robertson in the top 10 makes me realize their criteria is a joke. I think they just thought of the most well known 100 THEY could think of. Thank God for all the REAL Christian leaders out there like Lamb & Lion's staff and all their associates. I wonder if Newsmax is aware of or even cares about Joel Osteen's famous "I don't know...I don't know (if Jesus is the only way to salvation)" statement to Larry King. Clearly those on the list are the super-stars publically and have massive ministries, so are most recognized. Hadn't heard of #4 though. Crazy criteria, it appears in most cases preaching the truth is not a requirement, how sad really!